The Snow Report: Behaviour as a form of communication: What's the issue? There's been quite a lot of discussion in the Twittersphere, on and off in recent months about the notion that "(all) behaviour is a form of communication". I've bracketed the word "all" here quite deliberately, as I think it is part of the problem, and will come back to that later. To overlook the role of behaviour as a form of communication is to do a great disservice to students and teachers alike. My research concerns a poorly-understood, phenomenon that is much more wide-spread than most people realise - developmental language disorder (DLD). It may come as a surprise to some readers of this blog that DLD is far more common than autism or dyslexia - and is what Professor Dorothy Bishop of the University of Oxford describes as "the most common condition you've never heard of", affecting approximately two children in every classroom. What does DLD* "look" like? Well this is part of the problem. In many cases, DLD has no obvious outward signs at all. 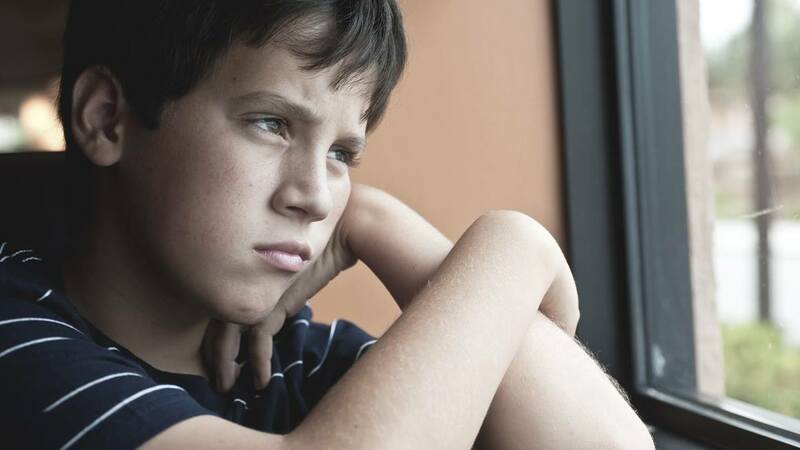 DLD can be a comorbidity with other neurobiological disorders (e.g., autism spectrum disorders, attention deficit hyperactivity disorder), but language disorder can also occur all by its sneaky, quiet self. These students don't have a bar-code on their forehead (metaphorical or otherwise) that helpfully causes a buzzing noise when they enter the classroom, flagging for teachers that their verbal comprehension abilities are reduced, or that their ability to draw on their (limited) vocabulary skills to put ideas into sentences is lacking. Students with language disorders often have poor working memory abilities, which means that they have difficulty holding visual and/or verbal information in temporary storage so that it can be manipulated (worked with) in the process of learning new information and/or solving problems. This means that new information decays even more rapidly for them than it does for typically-developing children, and they are more prone to the effects of distraction, such as the noise from other students' chatter, or the sound of the leaf-blower outside the classroom. Their need for more repetitions and opportunities for mastery reflects their underlying language processing and production difficulties, not laziness and/or a wilful desire to frustrate teachers and parents. Now, it's not hard to see how things could go awry in the verbally demanding and busy environment that is the everyday classroom. But what does language disorder have to do with behaviour? Mental health comorbidities are common with language disorders, and behaviour disturbance is in itself, a significant marker of mental health problems in children and adolescents. It is tempting to think of mental health problems on the one hand, and behaviour problems on the other, but this is not correct and does not align with major international classification systems of psychiatric conditions, such as the Diagnostic and Statistical Manual of the American Psychiatric Association (DSM-5) or the Word Health Organization International Classification of Diseases (ICD-10). Now you can love or loathe these classifications, but they represent international consensus on the fact that behaviour disturbances are a form of "pathology" (for want of a better word) and (a) often signal dysfunction in the child's environment (e.g., neglect and/or maltreatment of various forms) and/or neurodevelopmental disorder(s), and (b) flag a need for specialist services. It would be helpful and convenient if the world divided into "good children" and "bad children", but that is not the case. The world consists of large numbers of children whose needs are complex and whose developmental profiles and backgrounds are multi-factorial. These children make their presence felt in the classroom in a variety of direct and indirect ways. Cohen, Davine, Horodezky, Lipsett, and Isaacson (1993) observed more than 20 years ago, that children find their way into the service delivery system by virtue of what the key adults in their world see as the primary handicapping condition. It is hardly surprising that conduct and attentional disorders attract the attention of parents and teachers, but it is notable that, when such children undergo formal language assessments, high percentages of them (34.4% in the above study) are found to have clinically significant expressive and receptive language difficulties and these children have more severe externalising behaviour problems than their non-language impaired peers. More recently, Beitchman and Brownlie (2014) in referring to students with language disorder, observed that "Children may be assumed to be uncooperative, disobedient, or oppositional when they have not understood specific instructions or the broader context" (p. 41). They point out that language skills are used to self-regulate emotionally, and to express one's state of mind (e.g., confused, anxious), and note that children who cannot do this verbally, will, of necessity, do so behaviourally. These findings are more than borne out in my two decades of youth justice research, in both community-based and custodial settings (see recent papers here and here; readers who can't get past journal pay-walls can reach an open-access overview paper here). Young people who are the subject of youth justice orders, by definition, demonstrate externalising mental health problems - they wouldn't be serving community orders or custodial sentences if that were not the case. However in our 2015 study of 100 young people completing custodial sentences in NSW, we found that 31% scored in a clinical range on a measure of depression and 26% for anxiety. Further, 59% had either probable or likely alexithymia - difficulty finding words that attach to one's own feelings, which in itself, is associated with marked emotional and interpersonal dysfunction. Around 50% of these young people also had a previously undiagnosed language disorder. It is not surprising, given their offending histories, that 87% of our 2015 study sample had experienced suspensions and expulsions from school. They are the classical embodiment of what has been described in the literature as the School-to-Prison pipeline. Whilst this construct obviously refers to young people exiting school by entering the youth justice system, I always like to stress that we should not think about prison too literally. Social and economic exclusion that extends across the life-span (largely as a result of shockingly low literacy and numeracy levels), is a far more chronic sentence than the 6-12 months that a young person might serve as a 16-year old. Either way, we all lose (and pay) when young people are disconnected from education at an early age. Exclusion is an understandable short-term response but an ineffective long-term one, and we need to come to grips with the challenges embedded in this disjuncture. I have had a great deal of contact with teachers over the years, both through my research, and as a course coordinator of a postgraduate course for teachers about mental health problems in children and adolescents. teachers typically respond with interest and openness when they are given clinical frameworks for re-conceptualising the otherwise perplexing and frustrating behaviours of some students. In the broadest sense, I guess it is true to say that "all" behaviour is a form of communication, but that is, in my opinion, a little glib and simplistic. However, inviting teachers and parents to think of behaviour as a form of communication, might be a very good start in widening the lens on behaviour, and increasing collaboration opportunities between teachers and allied health professionals, such as speech pathologists, psychologists, and occupational therapists. This is not about "excusing" problematic behaviour in the classroom, it is about trying to better understand and respond to it. What won't help, though, is turning this discussion into the behaviour version of the Reading Wars. I think we all know how unhelpful that has been. *The term "language disorder" is recommended when language difficulties occur as part of another diagnosed condition, such as autism, with DLD referring to the condition in the absence of comorbidities (see Bishop et al. 2017 - open access for further explanation). In practice, comorbidities are common, so I have not dwelt on this distinction here, as the behavioural correlates may occur regardless of the presence of other diagnoses. I have another doubt. I've learned that DLD has no definite cause and no.assossiation with medical conditions or authism. Is that not true then? When I was studying Child and Adolescent Psychology in the 80s, one of the prescribed readings was called ‘The Communicative Function of Abhorrent Behaviour’. I’ve always found it a great framework - even before I knew the specifics of various language disorders. Knowing more about language disorders gives us much more clout when designing interventions and support that work. That was 30 years ago. We need to get a wriggle on with this and sharing the lens is really useful. Thanks Pam!